Two-hundred-and-ninety-six in a series. Welcome to this week's overview of the best apps, games and extensions released for Windows 10 on the Windows Store in the past seven days. Microsoft released the YourPhone app for Windows 10 this week to display Android content -- photos in the initial version -- on Windows 10 devices. The company pulled the app shortly thereafter for non-Windows Insiders. Concepts, an award winning design and sketching application for Apple iOS devices is available for Windows 10 as well now. The Windows 10 version of Concept has been optimized for Microsoft Surface devices, the Surface Pen, and the Surface Dial. 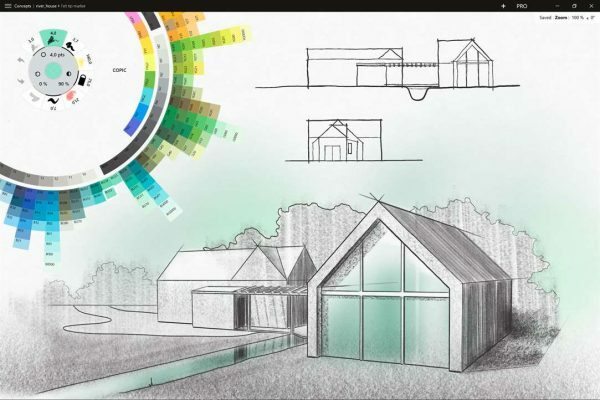 Concepts is a powerful tool that is intuitive to use thanks to its natural gestures support. The tools provided respond to pressure, tilt and velocity, and come with lots of features that make the life of artists easier. You can set different actions to finger touch events and Stylus events, use the endless canvas mode to continue drawing without fearing that you will run out of space, and more. Fruit and Match is a learning application for children. 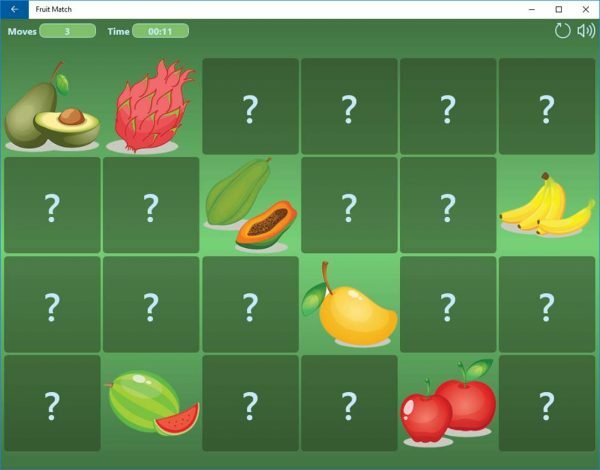 It is an education memory game that combines the memory-experience with learning the names and pronunciation of different kinds of fruit in various languages. The app supports English, Spanish, German, French, Italian, Portuguese, and Russian. 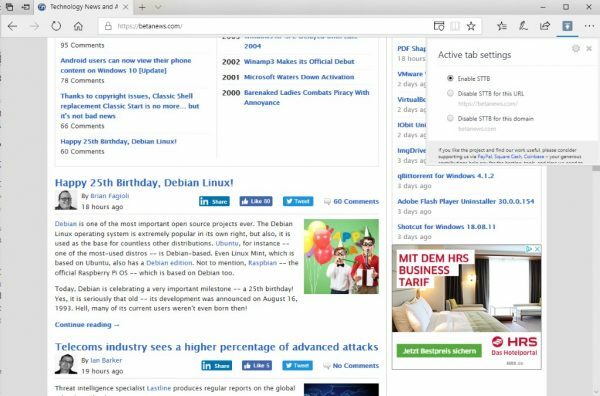 Scroll To Top Button is a new extension for Microsoft Edge that adds options to any webpage to jump to the top of the page immediately. The extension displays a button on top of the actual webpage as soon as you start scrolling down and activating the button takes you to the top again immediately. Scroll To Top Button comes with a surprisingly large number of options and settings. You can switch the button mode so that it includes scroll to bottom functionality, change appearance settings, or configure keyboard shortcuts in case you prefer to use the keyboard to scroll to the top or bottom of the page. 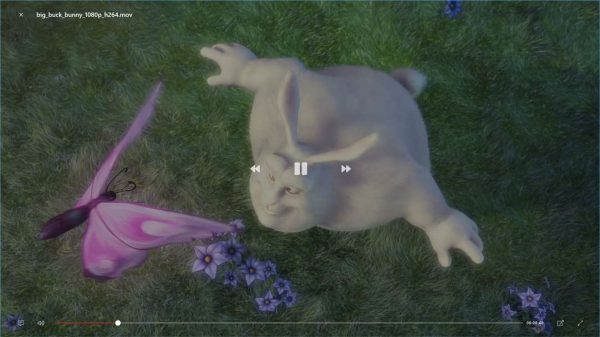 Videotape is a new media player for Windows 10 that features a minimal design to focus solely on the playing video. While you do get the usual controls, play or pause, go forward or backward, a position slider or full screen option, you will notice that it comes without any chrome. Supports picture-in-picture mode, keyboard shortcuts, and multiple audio tracks as well as subtitles. Microsoft Store is getting Shopping Cart functionality and a new Subscriptions section. Twitter PWA for Windows 10 supports image descriptions and tweetstorm functionality.